There is something about merino wool, which if you've worn merino base layer clothing you'll know what we mean. These liner gloves are what a base layer glove should be; dextrous, lightweight and close fitting but still providing warmth. Rather than a knitted glove, they have been made from a merino wool fabric and have the added bonus of thumb and two finger tips which are touchscreen compatible. 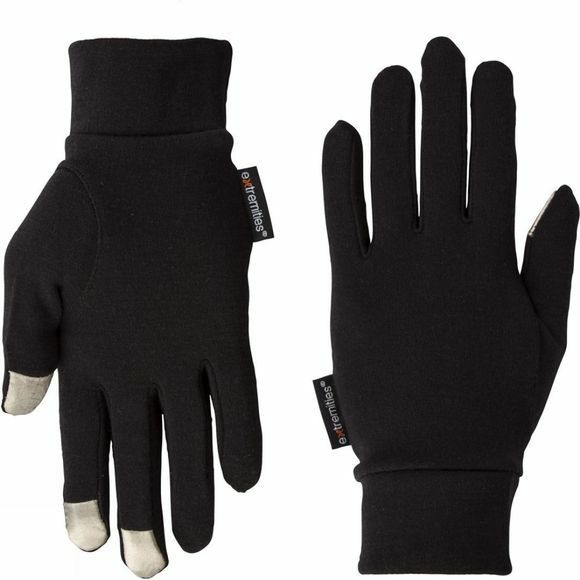 No more stripping off gloves and getting cold hands in order to answer your phone or use touchscreen equipment when you're out. You could almost call them an essential piece of kit and as they pack down so small and can be stashed in a pocket there is no reason not to keep them with you.